Wrangler Europe’s most integrated campaign ever touches every aspect of the brand. 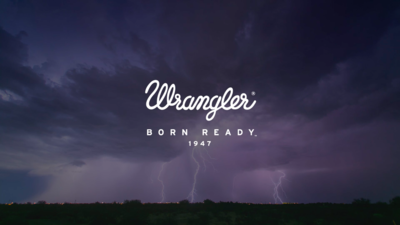 Building from a new strategy developed at WE ARE Pi, Born Ready steers the total Wrangler customer experience, across cinema advertising, OOH/print, online, activation, social, retail and product. 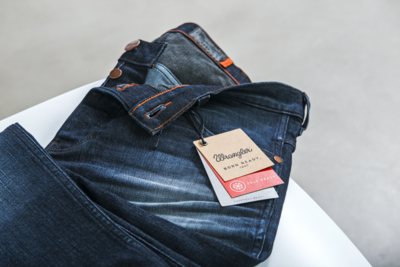 The Born Ready platform brings to life Wrangler’s Born Ready personality and philosophy – a commitment to creating innovative denim products that prepare the wearer for adventure at any moment. City dwellers who love escaping to the outdoors whenever they get the chance can now transition easily from city to country, from work to adventure, all without compromising on style. Building on a heritage of quality denim constructed for cowboys, the “Ready Range” defines a new category called “Performance Denim”. Innovations such as Rain Ready (water-resistant) and Cold Ready (winter-warming) jeans give everyday adventurers the freedom to transition seamlessly from work and city life to the great outdoors in style. The campaign launches with a 60” brand film produced in collaboration with Media Monks Films, in which a knowing voice of the brand narrates the story of a gang of urban adventurers having escaped the city for a wilderness BBQ, only to be met with unexpected nature, in the form of a rainstorm; a situation that they are prepared for due to Wrangler’s Rain Ready and Cold Ready products and a Born Ready attitude. The launch film narrative is extended in several 15” bumper films and cinemagraphs produced. 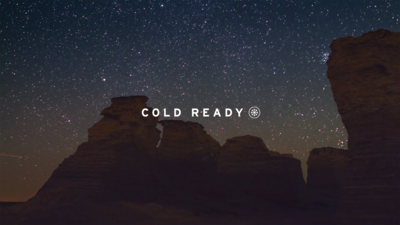 Escaping the city and being “ready for anything” then becomes a theme throughout the campaign, with real world “Born Ready Adventures” PR branded content produced in collaboration with Inkling and Feed films and an adventure finder experience built in collaboration with Retrofuzz on Wrangler.com. 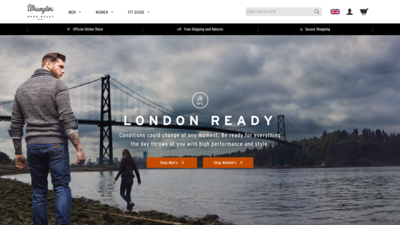 In addition to other social activations, Wrangler’s collaboration with adventurer Alastair Humphreys led to the creation of interactive online maps featuring guides to adventures in and around London, Manchester and Edinburgh in the UK, plus key cities in Germany and Poland. Users can refine their search to match the type of adventure they prefer, whether it’s cycling to the top of the highest local peak or a forest walk with friends. 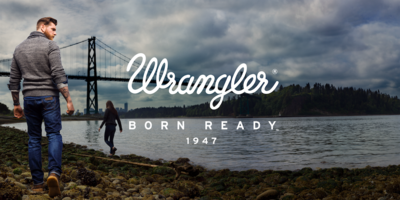 Wrangler will be encouraging users to upload their own Born Ready Adventures to the online map with the chance to win a host of prizes. The European activation launches at the end of September. WE ARE Pi Head of Strategy Jessica Perri says, ‘In the mind of consumers, ’Wrangler were more associated with their cowboy heritage. Meanwhile their new products feature the most cutting edge innovation in the category so we needed to heal the rift between heritage and future and give the brand a clear role in customer’s lives again. The Born Ready campaign answers that call." In order to execute this broad-reaching new strategy, Wrangler worked closely with WE ARE Pi for over a year to induct and collaborate with Wrangler’s product design, brand, sales and management team to create a campaign launch that was truly compelling to modern day consumers. The epic Born Ready launch film was produced by Media Monks Films shot on location in North America using cutting edge drone technology to deliver the dramatic epic selfie-style camera zoom out to reveal the forests, coastline and cityscape in one shot. The integrated Born Ready campaign runs in Cinema, Print/OOH, online, retail, PR and activation across Europe. To tease Born Ready, WE ARE Pi launched the much hyped “Wrongler v Wrangler” at the beginning of September to define the lifestyle the brand wants to support and create a clear enemy in Wrongler. 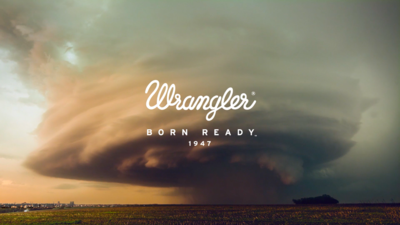 The Wrangler brand launched in 1947 on a platform of innovation: to create the best-possible jeans for cowboys. 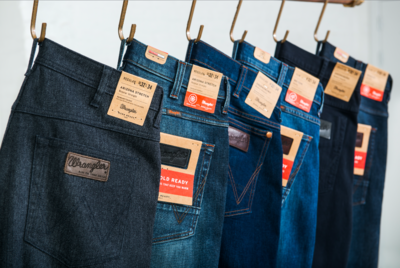 Today, Wrangler continues to create the best-possible jeans, but for the needs of modern consumers. Looking good, working hard: the guiding principle in every Wrangler design is to make you feel Born ReadyTM – fully prepared for whatever life throws at you. Blending fashion and function, the collection is built on modern fits that you can live in, energized with innovative finishes. Wrangler accelerates the evolution of jeans with groundbreaking initiatives: denim that keeps the rain off or helps you feel warm in the cold. Wrangler is a founding father of jeanswear and the originator of performance denim. Wrangler’s unrivalled denim heritage lives on in stylish, functional jeans packed with iconic, original details including flat copper rivets and the ergonomic watch pocket. Signature designs such as the 27MW shirt and 11MJ jackets are beloved by denim connoisseurs and fashion fanatics alike. Broken Twill, the soft-durable fabric that Wrangler invented in 1964, remains the backbone of many denim pieces.